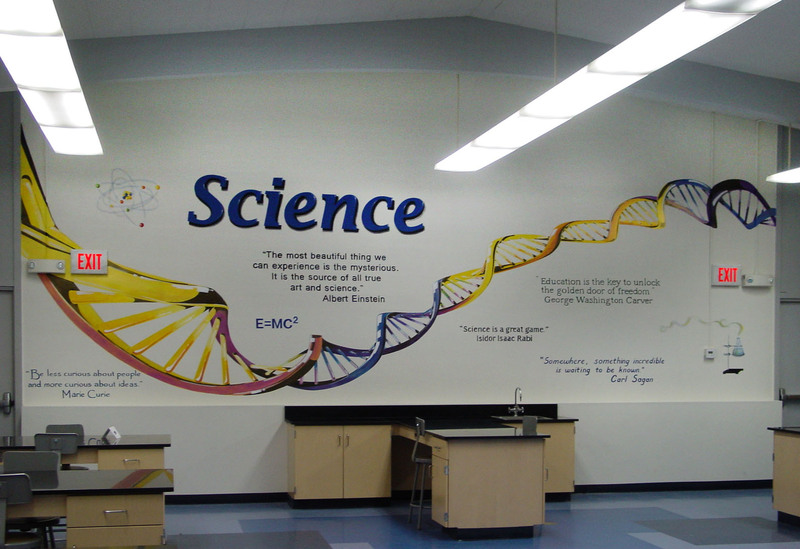 Another great mural for my favorite school, Tetzlaff magnet middle school in Cerritos. This is a wonderful atmosphere to learn in and I’m so proud to have been able to paint this DNA ladder. It may be hard to read the quotes but they were chosen from people who have made significant contributions to the world of science. I love each and every one. Next PostDistinguished School Mural, Large Enough to be Seen Forever. Thank you so much for posting such a nice comment. I appreciate it more than you know. Tetzlaff is a gifted school and I’d love to see what you guys will accomplish.